Treat yourself to this very versatile Dyrberg Kern piece. 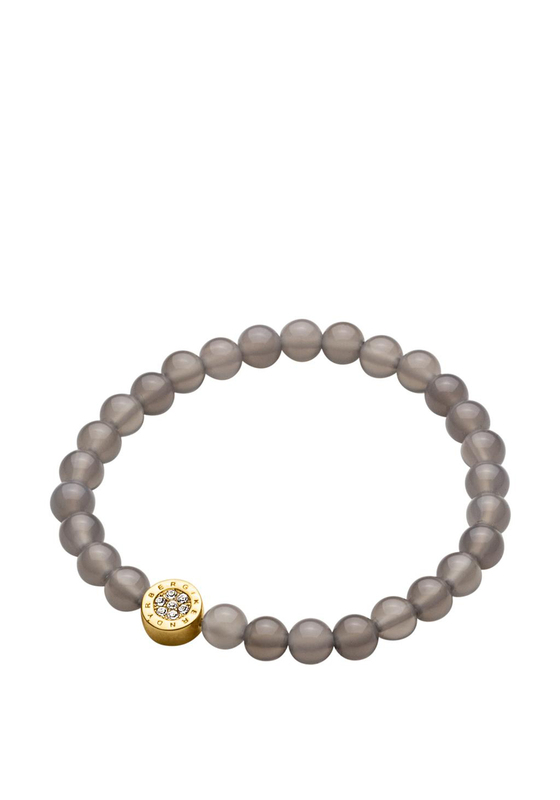 The bracelet is made up of a collection of genuine semi-precious gem stone beads which means the surface colour can vary and change with every induvial piece. These stunning beads are set on an elasticated band. The perfect gold element encrusted with white diamonds on either side of the element is added to add some sparkle and elegance.